In the deep South of Patagonian Chile you find the Asyen region. This is an area surrounded by the high mountainous peaks of the Andes and scoured by many rivers. 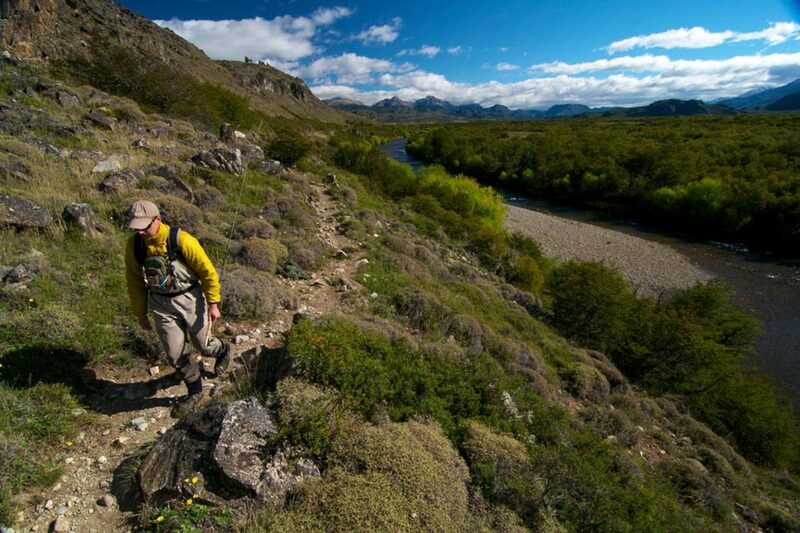 Cinco Rios sits overlooking the world-famous Rio Simpson and has access to another dozen rivers locally. 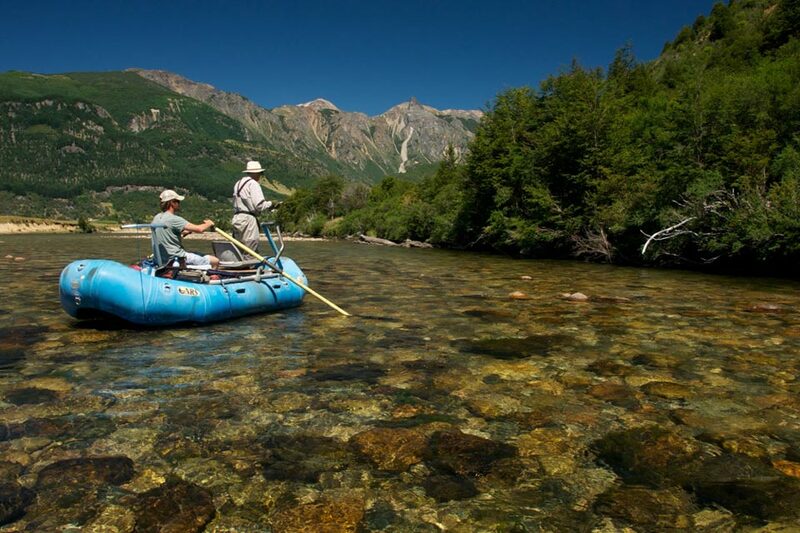 They specialise in jet-boating into remote stretches to wade fish and in drift-boating the larger waterways. Average temperatures: 9-27℃ in November, up to 30+℃ in January and then cooling with highs of 24℃ in April. Cinco Rios is a large lodge set ten minutes outside the city of Coyhaique which is the capital city of the Aysen region. 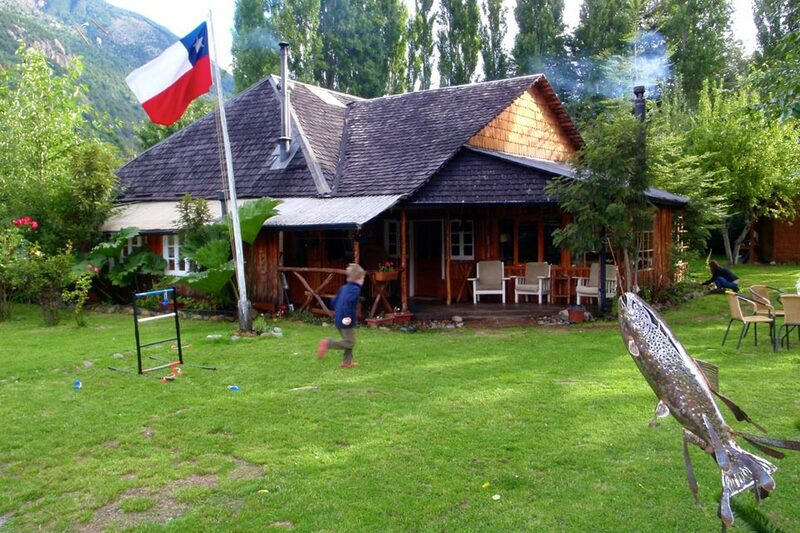 The lodge is set on the banks of the Simpson River and has beautiful views of the surrounding countryside and Andes. 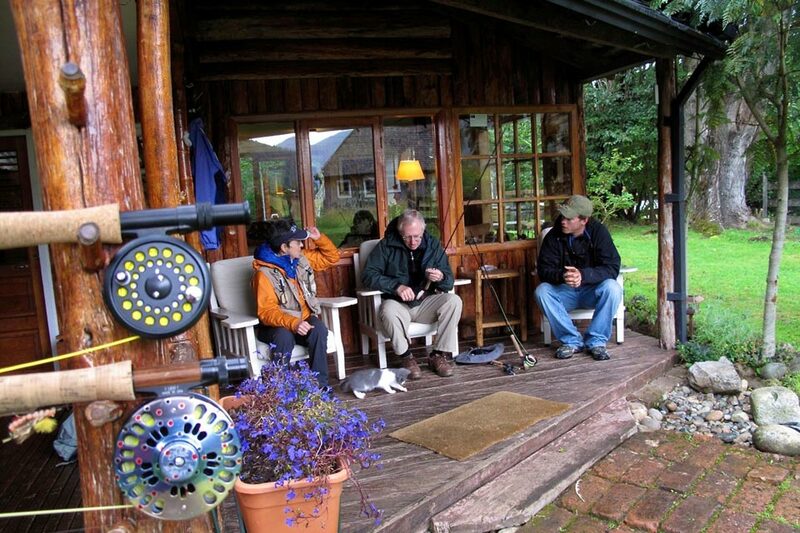 The accommodation at the lodge is for a for a maximum of twelve anglers. There are six twin-bedded rooms, each with private facilities. There is ample room for storage and fishing gear. There are also outdoor lockers and storage areas for waders, boots and rods to ensure your gear is dry by the next day. The lodge has a large and comfortable lounge in which to relax, with a large open fireplace. There is a dining-room and a separate bar area. There is also an upstairs TV and lounge area. A tackle and gift shop is also on site. The food in the lodge is prepared using local ingredients from lamb and beef dishes to risottos. Additionally, there are cheeses, chicken, peppers and quiches. All are made using fresh ingredients and complemented with some wonderful robust and fruity Chilean wines which this region is famous for. For non-anglers, there is a fantastic array of birdlife to observe including Condors as well as stunning countryside. Plus, the local city can be explored with its weekly market. 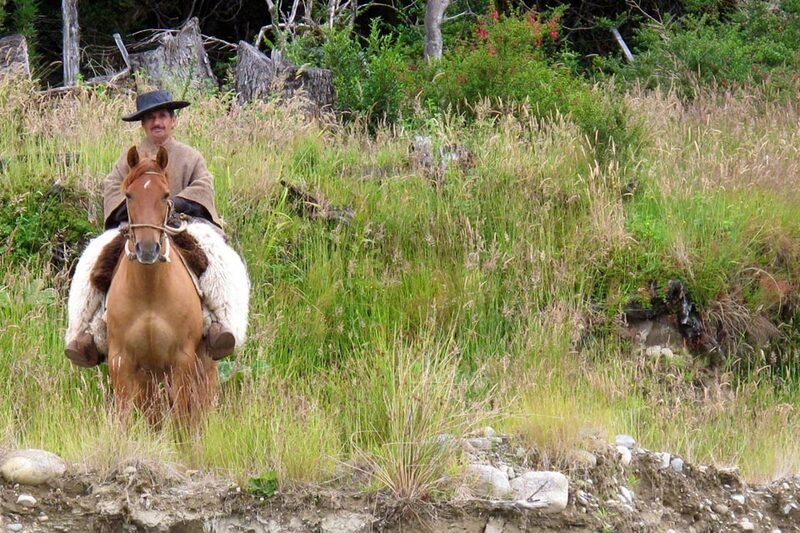 The lodge can also arrange a tour of the area as well as horseback riding. There are trails to run on and excellent walks and hiking. There is WIFI at Cinco Rios Lodge. 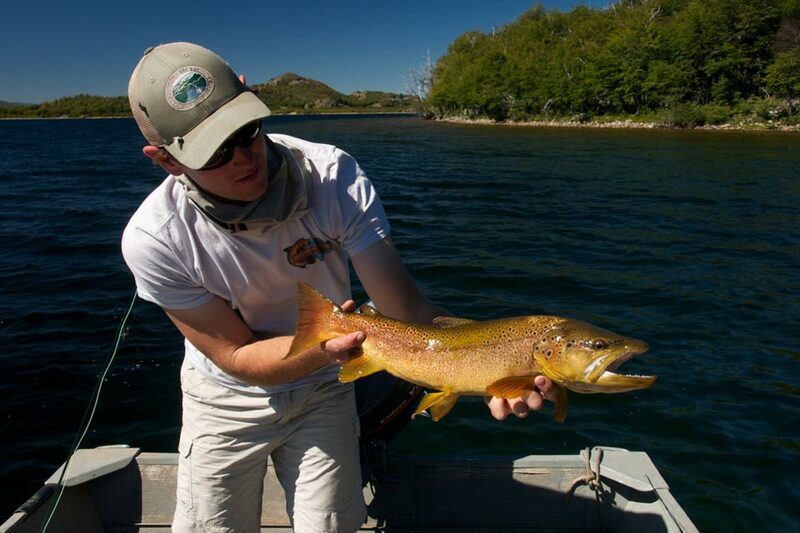 To reach the fishing locations from the lodge takes typically somewhere between thirty minutes to an hour. Transport is by 4WD truck to most areas, although on some rivers they also use jet-boats and inflatables. 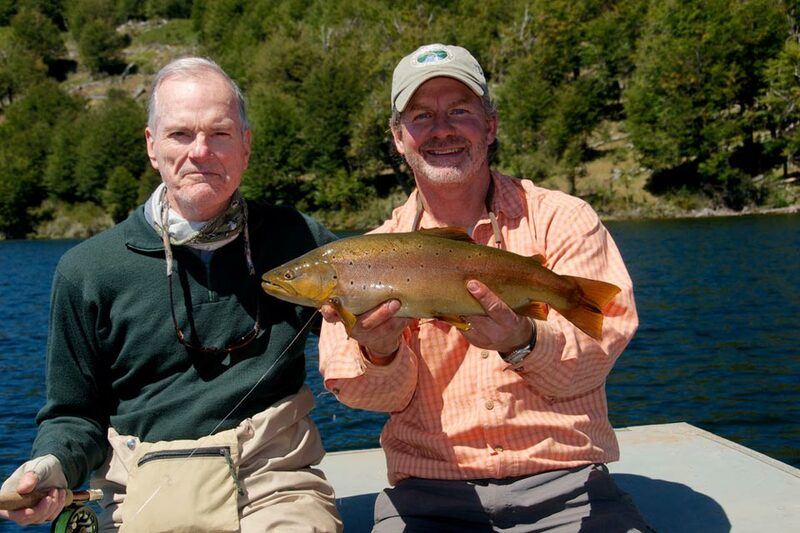 Fly fishing for Brown and Rainbow Trout is on several rivers in the region, some are private and some are public water. The Rio Simpson is a freestone river with great Caddis and Mayfly hatches. Browns and Rainbow Trout of up to 22 inches are not unsual. Bigger Trout are caught each season. There are also King Salmon that run the river from January onwards. These are up towards the 40+ lbs. 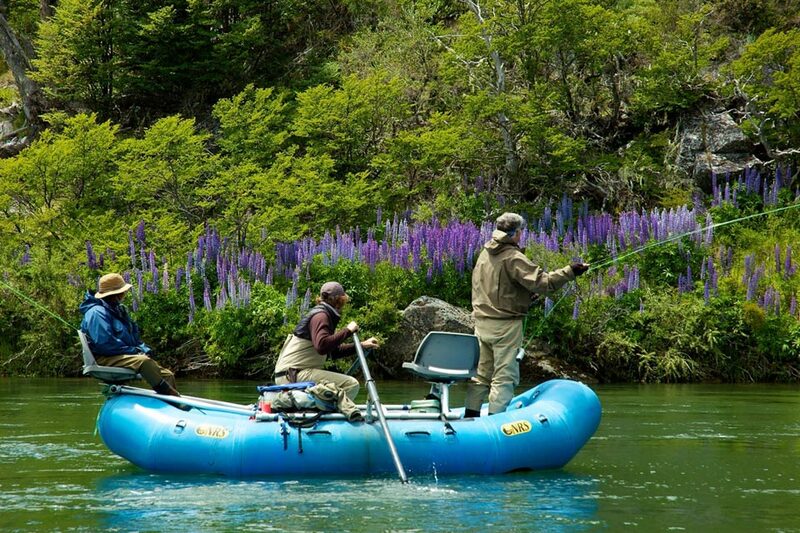 Other rivers you fish include the Rio Paloma, Azul, Desague. 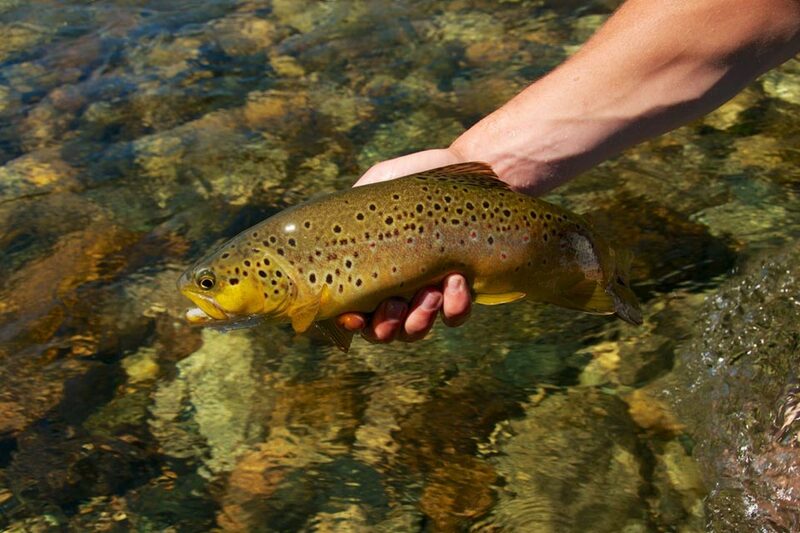 These are mostly Brown Trout freestone rivers where fish can be taken on dry fly or streamers. Plus, the Emperador, Guillermo, Manihuales and Toqui Boca De Leon to mention just a few of these free flowing crystal waters. All holding either Rainbow and Browns up to 22 inches with bigger Trophy Trout hiding away. All waiting to take your dry fly! All the guides are seasoned professionals and bi-lingual with good English. They know these rivers very well. Guests will usually enjoy a mix of fishing methods during their stay with jet-boat days, raft float days and walking and wading days. There is a tackle shop and some equipment is available at the lodge, however, we would suggest that all anglers take their own gear and equipment or if wishing to travel light check with the loge to ensure they have what you need. 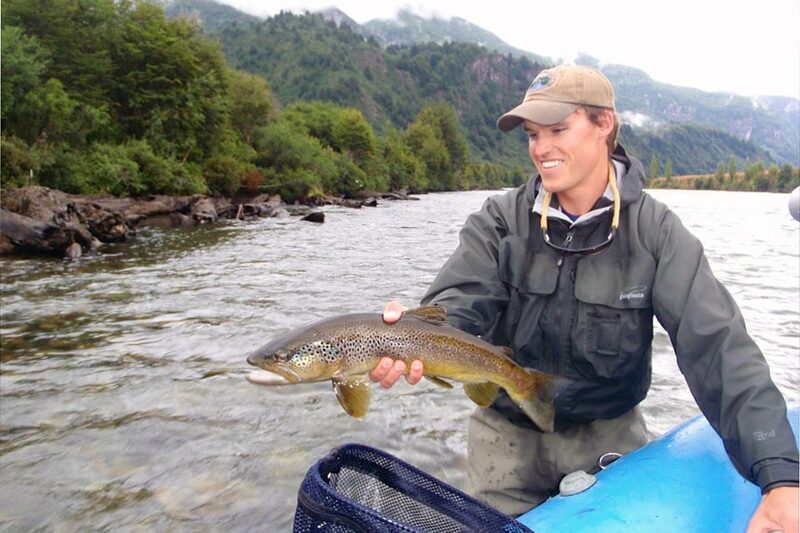 Cinco Rios offer some of the finest river Trout fishing (with some Pacific Salmon) in the world with the Andes as a backdrop and unbeliveable scenery. Passport with minimum six months validity and photo ID to purchase fishing licence. Fly direct to Santiago and take a three-hour flight to Balmaceda where you will be met by the lodge representatives and taken for a fifteen-minute transfer to the lodge.